Welcome to my Classic 1969 Datsun 2000 Roadster *FAIRLADY* and as I got it on July 7th 2012, and you will travel along with me as it goes from it's present state to completely restored condition. Luckily enough it is a very Solid rust free 3rd owner California car, with only one dent in the rear fender, and of course the chrome will have to be re done. The car is going to be re-painted in Black it's original color, with a Red interior and a Black top, with all new rubber moldings and fittings everywhere. AND NOW SKIPPING AHEAD QUITE A BIT.... 13 MONTHS AND LOTS OF WORK LATER & $$$$. Well it is now September 2013, and "COSETTE" is now painted, it has been a long road and we have further to go, but rather than boring you with all the pictures here, just check the link to the Restoration page link from the paint shop and take a look.. It has been a True joy and Pleasure to do, and out of the 56 restorations that I have done and this being number 57, this has proven to be the most "FUN" along side the Sunbeam Tiger I did back in 1994. Everything went together just about perfect and mostly without a hitch, Special thank's go out to Dean @ Datsun Parts in Northridge, CA, and Mark @ The Custom Shop for the paint, Jesse Glez @ Astro Plating in Van Nuys, for the outstanding chrome and polishing & Powder Coating, Garm & Jeff @ Micro Image, in Chatsworth, CA and of course Chatsworth Upholstery for the interior work and Top. All the mentioned Companies Links can be found below, and do use them as they are the VERY BEST at what they do, Trust me, and Good Reliable Quality people are hard to find these days, and these are among the BEST. It is now April 5th 2014, and the restoration took about 24 months to complete, start to finish, and the final pictures will be posted shortly. And of course I have a very special Thank You to my One and Only Wonderful wife Cathy, who helped me do this restoration. As I am disabled I am very limited as to what I can do anymore, and so she is able to do many things that I can not, and we did only the finishing items on the car, not the heavy work, that was done by some of the wonderful shops that I mentioned above. But the results speak for themselves. Above are some pictures of what "COSETTE" looks like now that she is ALL COMPLETED, more to be posted soon. I remember back to when I was 14 years old growing up back in Sweden & looking @ the latest Road & Track magazine and boy was I dreaming. It was the greatest little sports car that I had ever seen. And I swore that some day I would own one, this all of course just before I visited the United States some 4 months later, and having decided that we were moving across the pond after seeing the land of opportunity in person, in early 1969. So there is a funny story behind this car, where we live the gentleman who owned the car prior, was our neighbor, and I have driven by his home and the car for the past 19 years, it was sometimes parked in the front, and sometimes in the rear in the garage. But I would always look for it, it started deteriorating slowly about 9 or 10 years ago and then all of a sudden it was re-painted again, it was gorgeous.. And over the years it started again to deteriorate, the paint was fading, the top was ripped, and was taped up. So I finally said to my wife one Saturday, let's stop in and ask the owner if he would be interested in selling it, he was very nice, and his initial comment was NO, but said to leave my number and that he would call me, about one week later he did and he accepted our offer.
"" THE FULL STORY ""
Then we got the full story about the car, the last owner had had it about 27 years and there was only one owner before that, he was also a local Los Angeles resident. The car had also been stolen about 9 or 10 years ago, and it was however recovered by the Police, but it was stripped of all valuable Chrome etc. The owner quickly purchased all the parts to replace the lost ones with the Insurance settlement, although he did not install the parts right away he kept them for a while in the garage and installed some time later. Figuring also that all those parts were purchased at a cost of 10 years ago, and Not todays inflated prices. ** SOME INTERESTING FACTS ABOUT THE BEGINNINGS OF THE FAIRLADY ** Well the Fairlady was born just at the very same time as the British came out with the MGB and the Triumph, and was made to directly compete against these cars. You can slightly see it in the similar design around the tail lights between the MGB and the Fairlady. The Fairlady however faired a bit better and continued it's popularity as well as production, all the way into modern times, counting the current Nissan Ultra sports car, the Fairlady GT-R with a sales tag or should we say msrp of $ 107,000, but we know that they are going for much closer to $ 175,000. If you are LUCKY enough to find one that is... a V8 tuned to the max with ridiculous performance and a true super car. A 3.8 litre V6 rated @ 545 BHP & 463 FT.LB of torque, with performance like 0 to 60 in under 3 seconds, pretty hard to beat even in a Ferarri or Lamborghini, that's why they are sold out everywhere. Apparently in Australia, they are to bring out a limited production with a V8 in it, we shall see what the numbers are on that one.. So the charm of the *FAIRLADY* has lasted the test of time, now in it's 6th decade already and going strong, shows that the brilliant design specialists @ Nissan sure know how to give the public what they want, and keep up to date with changing wants and trends. And now changing the Fairlady into a true Super car with super car status and statistics to back it up was quite bold, from a company that had No background in the super car market at all, it was such a side step and so incredibly costly and risky, but it is certainly paying off in spades. "" PARTS & INSURANCE ""
"" WHAT YOU NEED ""
Just a foot note and a suggestion, from owning all kinds of Japanese as well as British and U,S, Sports cars, I never left home for a trip, without my trunk well stocked with certain basics, such as: Water-pump, Alternator, Starter, Thermostat, Fan-Belt, Upper & Lower Radiator Hoses, as well as normal items such as, oil, anti freeze, brake fluid, rags, a tarp, electrical tape, duct tape (when all else fails) Now it may sound silly but I remember back a few years, when I was in my Sunbeam Tiger on my way to Mammouth Lakes for a Car Show, and my water pump blew up, now it was about 8:00pm and no parts houses were open, I was about 2 hrs from my destination, I was LUCKY that a fellow Tiger owner with a spare stopped and helped me out installing his spare.
"" 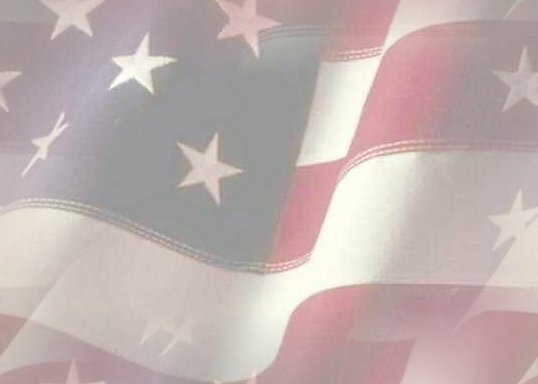 LINKS, TECH PAGES & MYSELF ""
I am also going to post a HUGE list of links to all the Best resources for Parts and aftermarket goodies that you may need, so Please check back frequently. Please check out the TECH pages below, there will also be INSURANCE information there as well, with phone #'s etc. I will also start posting some pictures of the GREAT cars I see out there, if you want yours on the page, please just send me your picture O.K. I do this Light restoration/assembly as a Hobby as I am disabled since 15 years back and can not do to much, and luckily have a few very good friends that help me out and do the stuff that I just simply can not do. There are Nice people out there especially in Datsun Land. Above Picture of the Classic Datsun *FAIRLADY* 2000 series, shows the picture from Japan on this post card, the story goes: as a Nissan CEO and design engineer had attended the New York on Broadway play **My Fair Lady** and he fell in Love with it. He liked it so much that after apparently seeing it a half dozen times or so, he decided as he was working on the then Roadster project, that the name should be the *FAIRLADY*. But in the U.S. the marketing experts felt that the name was to feminine and no masculine and strong enough, that they just marketed the car Stateside as the Datsun 2000 Roadster. It was called the Fairlady and Badged as such elsewhere all around the world.. That name has endured, and it was used from the original 1960 model, then the 1200 model, 1500, 1600 & 2000 later the 240Z came along in 1971 and it was also called the Fairlady, as was the 260, 280, 300 & 350 and now the G-TR.
"" SOME MORE POWER ""
Some other interesting Factoids, the 2000 model came originally sporting 135 HP, you could order a dealer upgrade package that included the dual MIKUNI/SOLEX Carburators along with a 256 duration/.44 lift cam-shaft, with a higher capacity oil pan as well. And this bumped the Horse Power up to 150. On the very rare first of the series 1967 1/2 model, it is said that of the some 700 produced that year, somewhere between 90-500 were equipped with the optional equipment. Personally on almost all the 67 1/2 models that I have seen they sport this option as well as all the ones that I have seen from Japan as well. It is a Very pricey but extremely cool option to have.
"" PRODUCTION #'S AND DIFFERENCES ""
Datsun started their company back in 1911 and was then known as Kaishinsha Motor Car Works, I do not have a picture of one of their early Rallye cars of 1911, but Please check out the cool LINK below for some GREAT history, I know you will be Happy, Please come back when you are done. "CLICK HERE TO READ THE ARTICLE IN FULL FROM HEMMINGS"
CLICK HERE TO GO TO HEMMINGS ORDER PAGE FOR THIS BACK-ISSUE, $ 8.00 EA. HERE ARE SOME OF MY FAVORITE CARS. 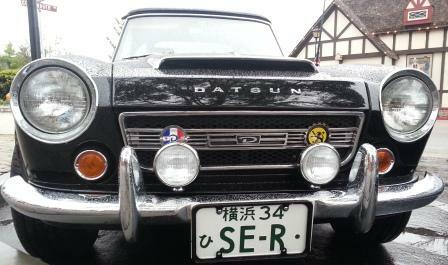 A 1967 1/2 Datsun Fairlady owned by John Frampton of Nortern California. The HOLY GRAIL a 1963 Corvette Stingray C2, RARE and GORGEOUS. Picture taken @ the May10th 2014 Sheppard of the Valley Car Show, Northridge. 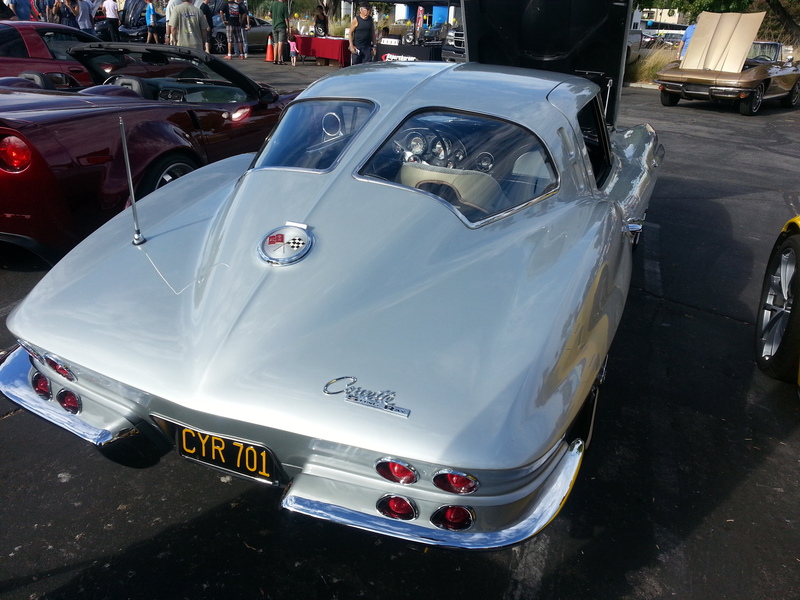 Gorgeous car, belonging to Mike Lanska of Simi Valley, California. Here is a picture from a gathering at the latest Super Car Sunday Feb 16.2014 and above is a picture of a slightly modified Datsun, called a Bugatti Veyron "Vitesse" about a Cool $ 2.7 Million will get you one, if you are LUCKY !!! 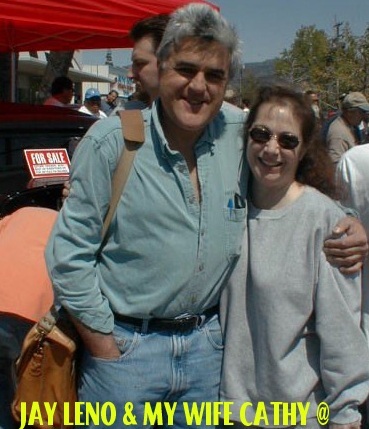 Here is a fellow car Fanatic and one of the nicest guys you could ever hope to meet, I just don't think there is a car show that Jay Leno misses, he goes to just about everyone he can. 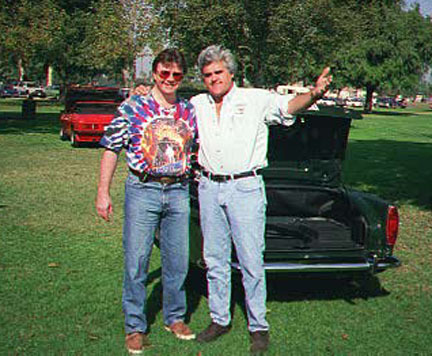 And he brings the most interesting cars you would ever hope to see, and if the show is close to his warehouse in Van Nuys, then he sometimes even goes back and gets a second car and brings that back with him. One of the pictures are with my wife Cathy, and the other one myself, a few pounds less of course, with my Sunbeam Tiger. THE FOLLOWING ARE SOME OF THE *GREAT* PARTS RESOURCES PLEASE EMAIL ME YOURS. **TOMMY OTIS, WORLD FAMOUS AND AWARD WINNING PIN STRIPER WITH OVER 40 YEARS OF EXPERIENCE** ""AND ONE OF THE NICEST GUYS YOU WILL EVER MEET""
""HERE YOU CAN ORDER THE WONDERFUL 3 BOOKS ABOUT THE FAIRLADY, THIS IS A **MUST** FOR EVERY DATSUN ROADSTER OWNER""
""DATSUN FAIRLADY ON FACEBOOK, INCLUDING SOLVANG 2014, A MUST SEE""
""SOLVANG 2013.. OUTSTANDING PICTURES & STORIES, DON'T MISS THIS ONE."" ""NOW HERE IS A *MUST* SEE PAGE, THE 311 HOME PAGE A PAGE OF EVERYTHING, TRUST ME...""
""HERE IS A NICE PAGE OUT OF THE NEATHERLANDS""
*** THE # 1 IN PARTS AROUND !! *** ""DEAN @ DATSUN PARTS IN NORTHRIDGE, CALIFORNIA""
""MICRO IMAGE, CANOGA PARK, CA""
""CHATSWORTH AUTO UPHOLSTERY, CHATSWORTH CA""
""ASTRO PLATING, VAN NUYS **GO SEE JESSE @ ASTRO TELL HIM THAT I SENT YOU** THE BEST OF THE BEST""
""NEW DATSUN PARTS OF CANADA""
""GERARDO OF FAIRLADY PARTS IN MODESTO, CALIFORNIA""